Publication Information: Pantheon. 2018. 256 pages. Opening Sentence: "Let me explain, first of all, that I was never one of those people who believed, even a little bit, in ghosts." Favorite Quote: "This is a thing that I'm sure is obvious to everyone else but is never-endingly astonishing to me: that every change, every life, consists of nothing but a series of days." 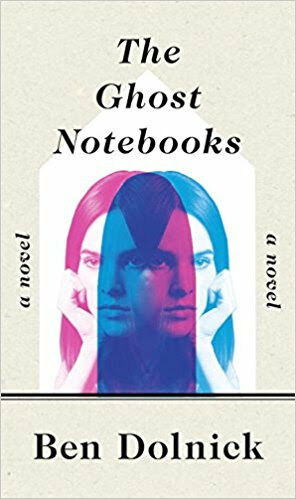 I am still trying to make up my mind exactly what this book is about - a ghost story or a book about mental illness or a book about the profound impact of grief. The book is all of the above, but never quite comes to a single focal point. It presents the questions but not the answers. Nick and Hannah are a young couple, struggling in New York City. Their relationship is filled with disagreement. Hannah has lost her job, and Nick is a musician whose work is not tied to his location. An online job ad leads Hannah to a new job, and both of them to what they hope will be a new beginning. The new job leads them to the Wright Historic Home in Hibernia, New York. Nick and Hannah become the live-in caretakers and curators of this museum. The museum preserves the legacy of writer and philosopher Edmund Wright and his family. More importantly, the house is said to be haunted for after the tragic death of the Wright's eldest son, Edmund Wright descended more and more into a study of the occult and the after life. The house has a history beyond what is documented in the preserved artifacts. The adventure comes as a new beginning for Nick and Hannah; there is definitely a honeymoon period at the beginning. They rediscover each other, and find joy in the exploration of their new home. The biggest clue as to what's coming is the reaction of Hannah's parents to the move. They are distraught and warn Nick to watch over Hannah, who has struggled with mental illness. She is, in fact, on medication, to regulate her well being. Both Nick and Hannah ignore the warnings and move forward. Hannah's struggles are summarized in the book. "Curiosities slide into idle fears slide into terrors without there being any clear points of demarcation." Nick's struggles too are captured in one statement. "There's an impulse, I've noticed, ... to comb through your memory for moments - the more recent the better - when that person last seemed perfectly normal. I just had dinner with him last week. I just got an email from her the other day. Part awe, I think, and part protest: but she was just here." The story of grief and ghosts in this book competes with the story of mental illness. The two overlap and connect, of course; grief impacts our mental and physical well being. However, this book is a bit like the chicken and the egg conundrum. I am not sure what to take away from this book. Would Edmund Wright have studied the afterlife and been visited by ghosts if his son's tragic death had not occurred? Did his profound grief influence what came next for the Wright family? Was Hannah susceptible to the stories of the house because she struggled with her own mental health? Was is ghosts or was it Hannah's fragile state of mind that led to the events of the book? How much did grief impact Nick's own state of mind? Did he believe in the ghosts or did he want to believe as a means of coping with grief? The book does not provide the answers; as such, it is neither completely a ghost story or completely a book about mental health. However, it does presents the questions in a slow-paced, atmospheric manner to allow the reader plenty of the time to contemplate their own answers.